The arrival of spring has heralded with it some magic weather and it has been great to get out and make the most of it. 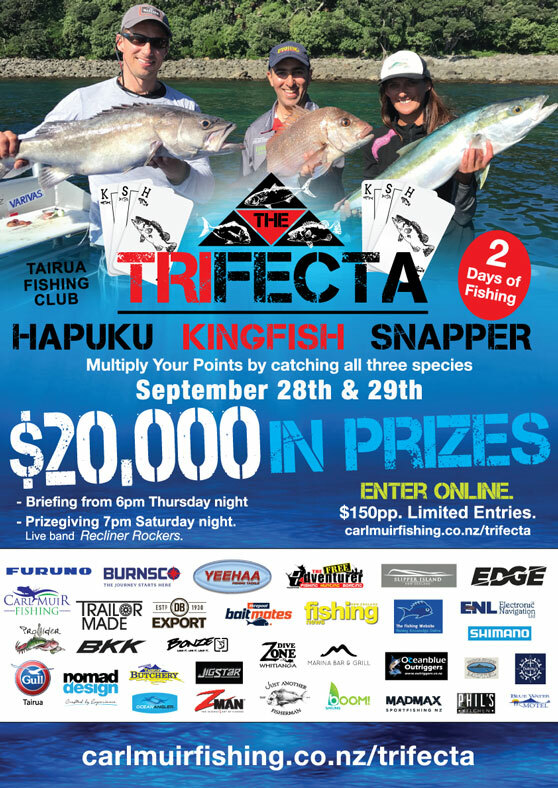 We've had some magic days out wide, chasing bluenose, hapuku and bass in the deep. One of the great things about deep water fishing is the variety of species you hook into and you never know what you are going to haul up from the deep, like this monster bass caught by Tom on one of our last trips. 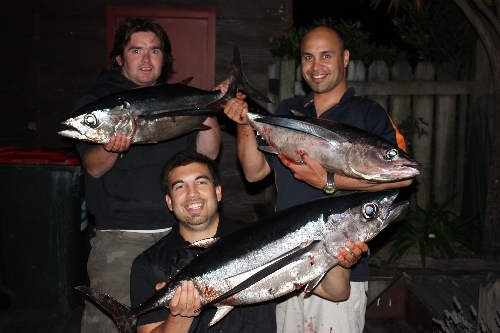 Call me on 021 227 4354 if you'd like to jump on one of the next trips out wide. 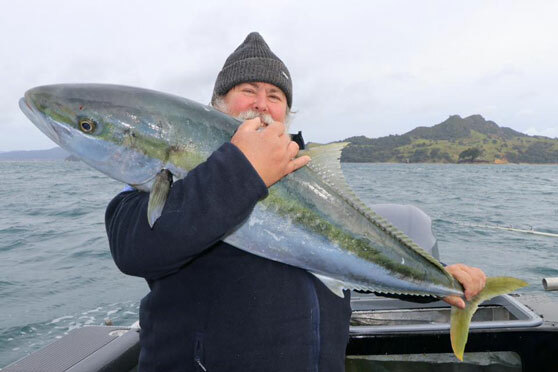 Spring has brought with it plenty of surface action, and big schools of kahawai are prevalent around most of the inshore islands off Tairua, like Shoe and Slipper, and there has been good snapper working under these schools in about 20-25m of water, perfect for softbaits and slow jigs. With spring hitting its straps jigging has been productive of late, with some really good sessions on the kingfish on jigs, hitting mid water column. It won't be long until these big fish are busting the surface and then top water fishing will be the way to go.